NEW YEAR DAY - Amazing Kappa Band, Paddy Ryan, Joanne Mairs - FREE ENTRY!!! 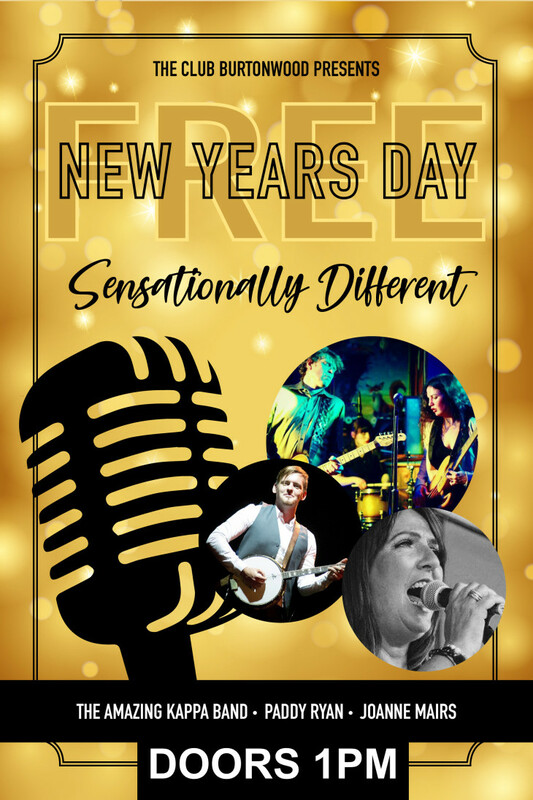 We're absolutely delighted to announce our New Years Day celebrations in the Concert Room will feature Amazing Kappa Band, Paddy Ryan Music, Joanne Mairs and it's FREE ENTRY for everyone!!! Join us for a sensationally different New Years Day!